He is passionate about his work and has a great ability to identify the issues very quickly which often enables a speedy resolution without recourse to the courts. Julian is experienced in consumer credit, commercial and property law. He also deals with related areas including asset tracing, banking, financial services, insurance, fraud, misrepresentation and undue influence. He has wide experience of professional negligence claims against solicitors, barristers, accountants, surveyors and construction professionals. He is regularly instructed on mortgage and housing cases on contested possession claims and suspensions of warrants for possession. He acts in employment disputes and advises on HR issues. He has had considerable experience of being a representative at mediations and has been trained in advanced mediation techniques. He appears in courts and tribunals throughout England and Wales. Julian is able to accept Public Access instructions in the above areas of work. This enables him to accept instructions without a solicitor or intermediary. He can give advice, write or draft letters and draft documents and appear as an advocate. 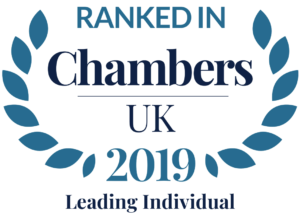 Julian is ranked by the Chambers and Partners directory as a Leading Practitioner in Consumer Law (see Directory Quotes below). Lukan v Ghana Commercial Finance Ltd (in liquidation)  EWHC 418 (QB): successful out of time appeal against a circuit judge’s decision in 2011 not to set aside a possession order, which had been made by a district judge when Mr Lukan was absent in Nigeria. The transcript of the circuit judge’s decision not to set it aside had been destroyed and therefore the High Court dealt with the appeal by way of rehearing, rather than review. Lane J decided that Mr Lukan met the criteria under CPR r39.3(5) to set aside the possession order, as he had a real prospect of success in his defence, namely that (i) the agreement was a regulated credit agreement which was unenforceable without a court order, due to non-compliance with the Consumer Credit (Agreements) Regulations 1983 and (ii) there was an ‘unfair relationship’. A previous High Court Judge had extended the time for bringing the appeal, but Lane J said that he would have done so in any event. Richards v Mckeown  EWCA Civ 2374: Successful second tier appeal against the dismissal of a solicitor’s negligence claim because the claimant had added a personal injury claim to the claim form by amendment before service of the claim form and more than three years after the personal injury, but within six years of the accrual of the cause of action against the solicitor. The county court judge had held wrongly that section 33 of the Limitation Act 1980 did not apply to a mixed personal injury and professional negligence claim and that he could not sever the personal injury claim from the professional negligence claim. The High Court judge on appeal held correctly that section 33 applied, but incorrectly that the claimant had to issue an application notice to rely on it in opposition to a strike out/summary judgment application, and agreed that the personal injury claim could not be severed. The Court of Appeal held that there was no limitation issue because the claim as issued had no personal injury element and the issue was whether the amendment of the claim form to add a personal injury claim after issue but before service would be disallowed. The Court of Appeal went on to find that the proper place to take a section 33 point was in a Reply to a pleaded limitation Defence and there was no need to take the point on a summary judgment/strike out application before service of the Defence. The Court of Appeal also found that the personal injury claim could be severed, if the claim was statute barred. Edwards v Kumarasamy  UKSC 40  3 WLR 310: Successful appeal to the Supreme Court from the Court of Appeal on the liability of an intermediate landlord with a long lease of a single flat to his assured shorthold tenant for disrepair in the paved area in front of a building containing 10 flats. The Supreme Court decided that the paved area, between the front hall and the car park, where the tenant had tripped over a paving stone in disrepair was not part of the “structure and exterior” of the front hall and therefore section 11 of the Landlord and Tenant Act 1985 did not apply and the appeal succeeded. The Supreme Court went on to decide two further points that had been argued. 1) It was decided that the intermediate landlord had an “interest” in the common parts because of the leasehold easement that had been granted to him by his long lease of the flat, even though he had sublet the flat and the easement to his AST tenant. 2) Of major importance in this area of law, the Supreme Court considered the rule that a covenant to keep a building in repair was breached the moment the building fell into disrepair and the exception to that rule that a landlord was not in breach until he had had notice of disrepair of premises demised to a tenant. The Supreme Court extended the notice exception to this case where the common parts were neither demised to the intermediate landlord nor to the tenant because the tenant’s constant use of the common parts meant that he was in a better position than the intermediate landlord to know of any lack of repair of the common parts. The Supreme Court went on to state that the notice exception would not apply to the common parts where a landlord had let parts of a building to two different tenants. Julian Gun Cuninghame took over this case on public access following the AST tenant’s successful appeal to the Court of Appeal and identified the three appeal points set out above, two of which succeeded. Julian, as sole counsel on public access, obtained permission to appeal from the Supreme Court and then (with the assistance of Daniel Brayley) drafted the statement of facts and issues and the landlord’s written case. Julian supervised the preparation of all the bundles for the Supreme Court, including the electronic bundle. It was decided to bring in Philip Rainey QC of Tanfield Chambers for the hearing because of his advocacy experience in the Supreme Court and his specialism in landlord and tenant. Vilvarajah v Sriskandarajah, Chancery Divison, Master Bowles, 13 May 2016, four day trial of a partnership account relating to a sub post office and shop in West London, including disputed factual issues and issues under section 42 of the Partnership Act 1890. The Master placed on record “the exceptionally able jobs done” and “how much hard work and effort has been put in” by both counsel and how much they had assisted the court. Davis v Trustee in Bankruptcy of the Estate of Davis  BPIR 572: Effect of claimant’s bankruptcy on clinical negligence claim. Contributor to Atkin’s Court Forms: Landlord and Tenant (2014) and Trespass to Goods and Conversion (2010) titles.